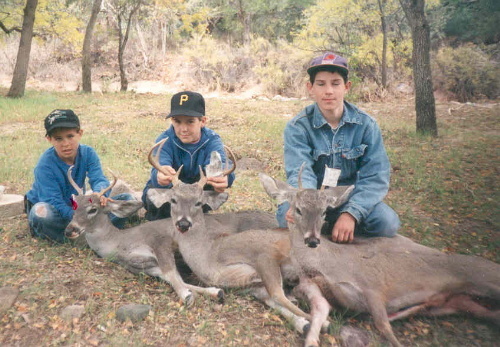 These pictures are of our 1st "boys hunt". We were lucky enough to have access to a ranch house right in the middle of prime whitetail country. We hiked from the house into the surrounding hills and each took a canyon. 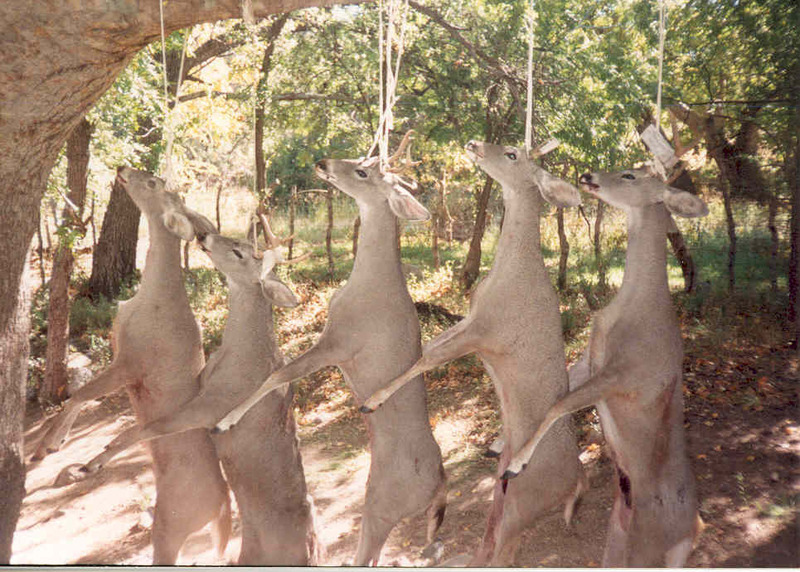 These bucks range from a spike to a mature 3 point. The biggest buck won the "big buck contest" for the year. The prize was a shoulder mount and it now hangs in Matthew's room. 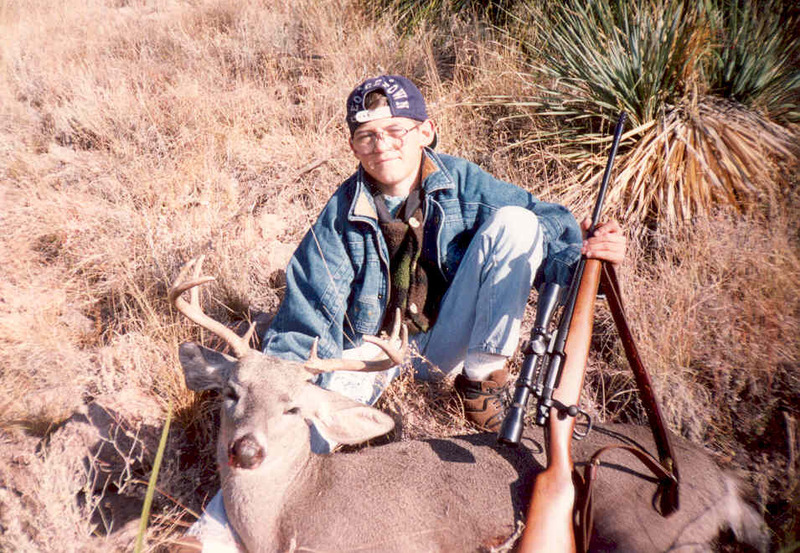 Matthew Anderson with his 1st deer. He passed some smaller animals opening morning and hiked further than any 10 year old should have. We glassed this buck with another good one from across a canyon and made the stalk. His gun dry fired the 1st cartridge but he was able to keep cool and make the shot. Kameron Lee, Trevor Mineer & Chance Anderson all tagged their bucks opening morning. That left plenty of time for playing on the swing and drinking soda pop.